The OPEC meeting today (Thursday, June 2) concluded at 10 a.m. EDT, and crude oil prices surprisingly aren't registering a big swing. As expected, the 13-member cartel failed to agree on an output ceiling for the second time this year. 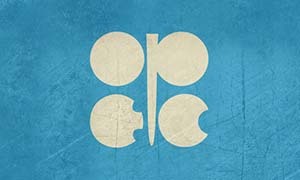 This marked the first OPEC meeting since Saudi Arabia elected its new energy minister Khalid al-Falih, who assumed the role on May 7. Saudi Arabia and the other dominant OPEC players saw little pressure to cap production as oil prices have risen roughly 80% since February lows. At 10:15 a.m., just a couple hours after the OPEC meeting ended, WTI crude oil prices were down only 1.5% to $48.30 a barrel – higher than yesterday's intraday low of $47.75. Meanwhile, Brent crude oil prices were even less volatile, down 1.4% to $49.05. When an OPEC meeting takes place, crude oil prices have the potential to swing violently. Investors are usually on edge those days. Their skittishness makes sense considering the delicate state of the global energy market. WTI crude oil prices are down 53% over the last two years. According to data compiled by Dow Jones & Co., the average change for WTI oil prices during all 50 OPEC meetings since 2002 is -0.08%. The data measured the price action on the day of the meetings. If the meeting occurred on a weekend or holiday, the data accounted for the day of trading after that meeting. It's important to note that the average decline in oil prices for all OPEC meetings over the last 14 years was bigger than the average gain. Of the meetings where prices fell, they saw an average drop of 2.5%. As for all the meetings where prices saw gains, they averaged a 1.9% jump. The biggest outlier was Nov. 28, 2014 – the day after Saudi Arabia and OPEC shattered the global oil market by refusing to cut output. On that date, oil prices plunged by more than 10% to $66.15 a barrel. Since then, Saudi Arabia has maintained its strategy of pumping as much oil as it can to hold onto market share and edge out U.S. competitors. The country currently churns out more than 10 million barrels a day. That's roughly one-third of OPEC's total production and nearly 2 million barrels more than daily U.S. output. But the Kingdom's strategy has been backfiring for months now. Alex McGuire writes about energy for Money Morning. Follow him on Twitter for the biggest oil and gas news.